Volkswagen will invest €3.5-billion (US$3.7-billion) in e-mobility and digitalization for its German plants. 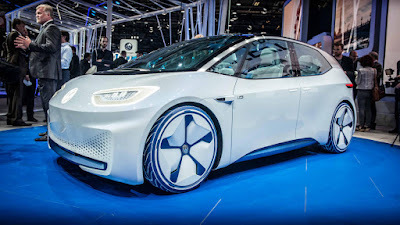 To bring Volkswagen up-to-date in the future-oriented areas of e-mobility and digitalization, the company will be making a massive investment in new technologies. The German plants are to enter the field of developing and producing electric vehicles and components. A pilot plant for battery cells and cell modules is to be developed. Volkswagen will be investing €3.5 billion in the transformation of the company. The pact for the future includes agreements on new future-oriented vehicle products. The plants at Wolfsburg and Zwickau are to assume responsibility for the production of electric vehicles based on the Modular Electric Drive Kit (MEB). In order to ensure efficient capacity deployment, a further model is to be produced at the Emden plant. At Wolfsburg, an additional Volkswagen Group vehicle will also be produced. By 2020, the Volkswagen brand intends to be completely repositioned.